This is a great one for kids or Dinosaur Buffs. Visit the Dinosaur Capital of the world in Drumheller Canada. But don't this roadtrip is just for Dinosaurs - there are heaps of other things to do here from skiing to white water rafting. 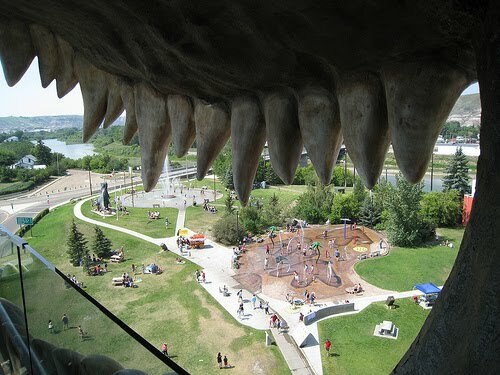 Stand inside the world's biggest dinosaur - at 86 feet high and get a view from inside its mouth! Soak in the history at Drumheller's Museums. 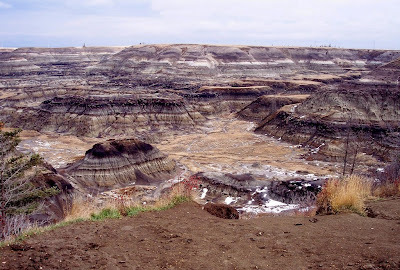 See the Hoodoos - strange rock formations left by millions of years of erosions. In a wintery mode, why not go skiing?